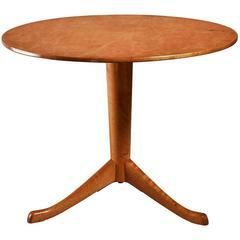 Coffee or playing table by Axel Larsson. Heavy black marble table top and birch base with an open and light look. Nice modernist design with a subtle traditional touch. 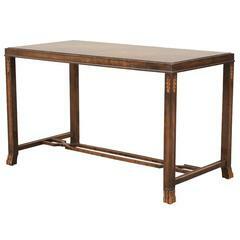 Very cool coffee or occasional table with a strict, open Silhouette and wonderful, lively black marble top. Elmwood base. Amazing functionalist sideboard by Axel Larsson, made in oak with round knobs on the drawers. Clean lines that come together in a great way with the beautiful woodgrain. 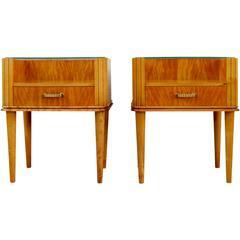 Rare pair of freestanding bedside tables or side tables designed by Axel Larsson. Produced by Bodafors in Sweden. 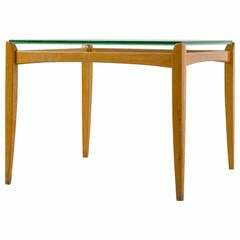 This is a substantial Scandinavian Modern pine coffee table by Sven Larsson for Möbel-Shop in Stockholm, Sweden, circa 1960. A coffee table by Bodafors, Sweden. Attributed to Axel Einar Hjorth. Measures: L 41", W 20.5", H 24.5". 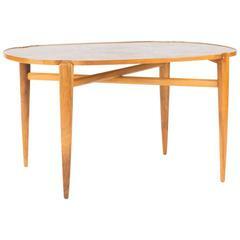 Rare and large coffee table in teak designed by Albert Larsson. Produced by Alberts in Tibro, Sweden.